After San Giovanni Gate, demolished in 1852, at the end of Via Umberto I °, Via Angeli (formerly Via San Rocco) begins. It is one of the oldest streets of the city where some important old buildings are still present. 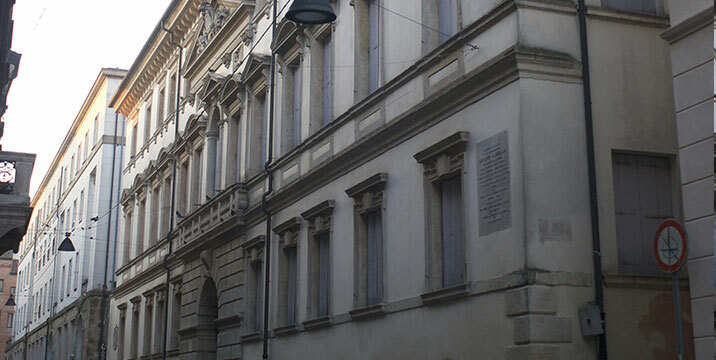 At number 1, Palazzo of the noble family Manfredini, now home to a Credit Institution, which possessed an important frescoed hall by Massimiliano Baseggio. A little further on, always on the left at number 33, is Palazzo Oliva, formerly Palazzo Manfredini. At No. 28, Palazzo Angeli, built in 1780 by the architect Francesco Schiavi from Verona and donated to the town in 1876 by Count Domenico Angeli. The building served as the residence of the prefect and, in part as a boarding school for women, later it became the police headquarters. 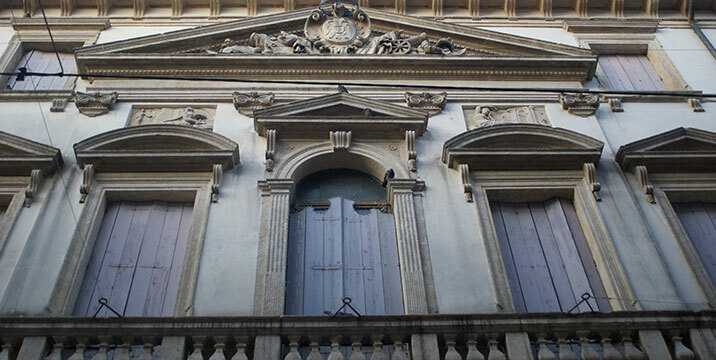 In Front of Palazzo Angeli, on the left, there is a series of homes of the same height supported by Doric columns. They were built in 1845-1847 replacing old hovels which Domenico Angel had had demolished. At one time the street was called Via San Rocco taking the name of the church dedicated to this saint which stood after Palazzo Angeli and was demolished in 1938 to make room for Palazzo INA. Following the renovation of the pavement and restoration of many of the facades of the buildings, it has become the main shopping street. 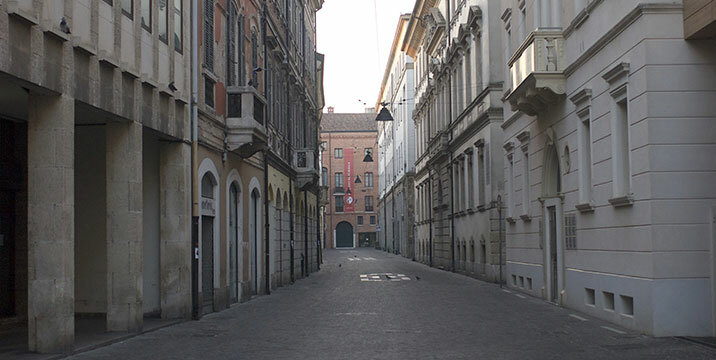 Certainly one of the most beautiful in Rovigo, Palazzo Angeli was built by Giovanni Angeli in 1780 in neoclassical style designed by the Veronese architect Francesco Schiavi in the old contrada (district) of San Rocco, now Via Angeli. The facade, linear and harmonious, is interrupted by the openings of the windows on three floors and the large portal. The coat of arms with the two-faced eagle surrounded by bas-relief sculptures is in the tympanum (a triangular area on the face of the building below the roof, above the entrance). The grand hall on the ground floor as well as some of the rooms on the main floor have frescoes by the Venetian Giovan Battista Canal with scenes of Jerusalem Delivered and mythological stories. Other rooms are decorated with nineteenth century frescoes in neoclassic taste. The staircase is decorated with sculptures by Gaetano Muttoni. From the beginning the palace hosted illustrious guests, including Charles IV of Spain, the emperors Franz I of and Franz Joseph of Austria, as the commemorative wall plaques recall. Giuseppe Garibaldi gave a speech to the crowd below from one of the large windows. 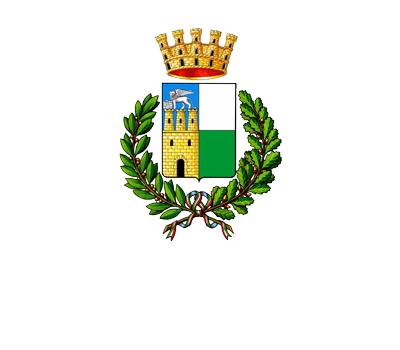 At the end of the 1800s, the building was bequeathed to the city of Rovigo, which over time has used it as a school, public offices, as well as a boarding school for women. Today it is under important restoration.